Nowadays long-term performance and reliability of photovoltaic modules are a key for the success of development of the PV market. 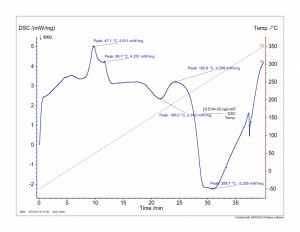 The best way to answer customers questions about the quality and generated power of PV modules is to provide a wide range of tests, which help to characterize not only PV modules but also technical parameters of solar cells. 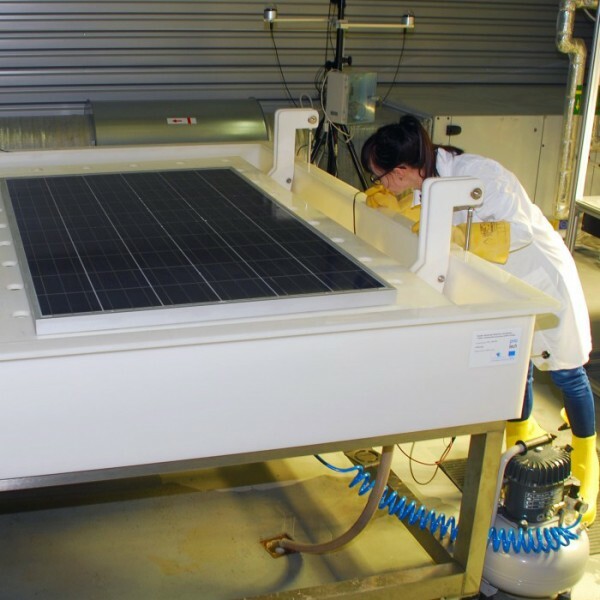 Protechlab has capabilities and specialists to conduct quality inspections of PV modules manufacturing processes, to estimate the degradation level and power change of PV modules. 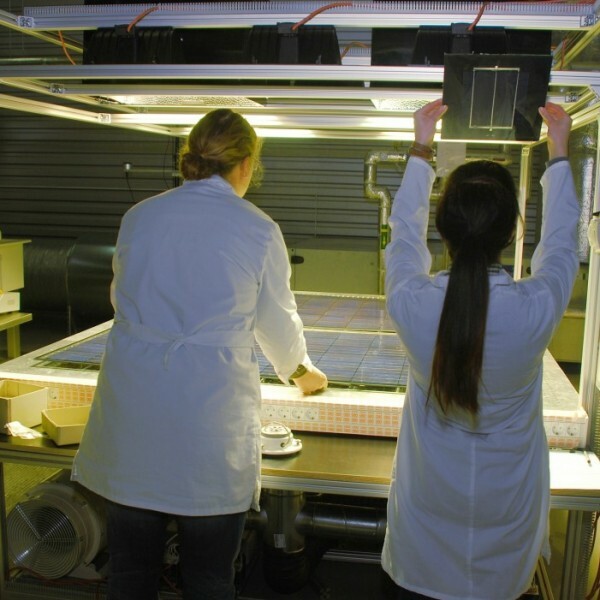 The Measurements and Characterization group includes solar cells and photovoltaic modules. It is very important to ensure the high quality of solar cells, because they are the main elements in PV module construction. 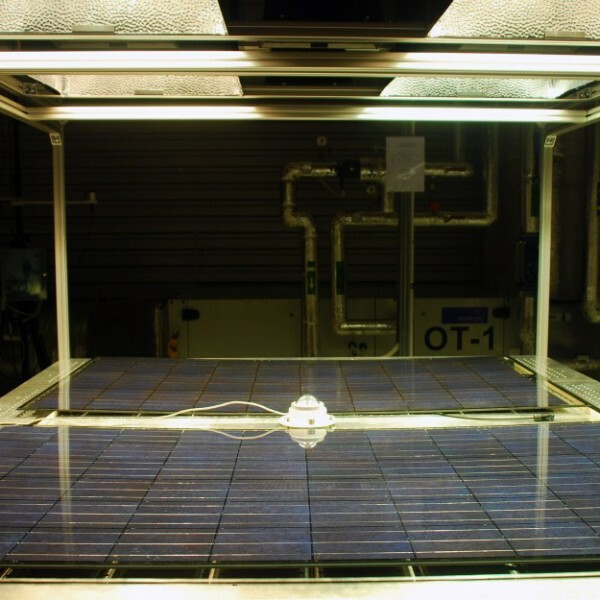 A variety of measurements are used to characterize the performance of solar cells, including the measurements of its electrical parameters, determination of breakage and other defects in cells. 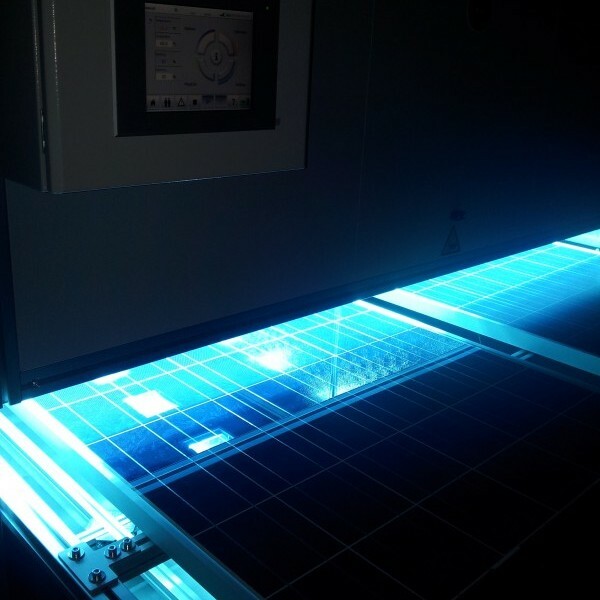 In order for the photovoltaic technology to compete with traditional energy generation technologies, the biggest challenge is not only to reduce the high production costs, but also to increase the durability and performance of photovoltaic modules. We offer to test and periodically monitor the performance of the modules. 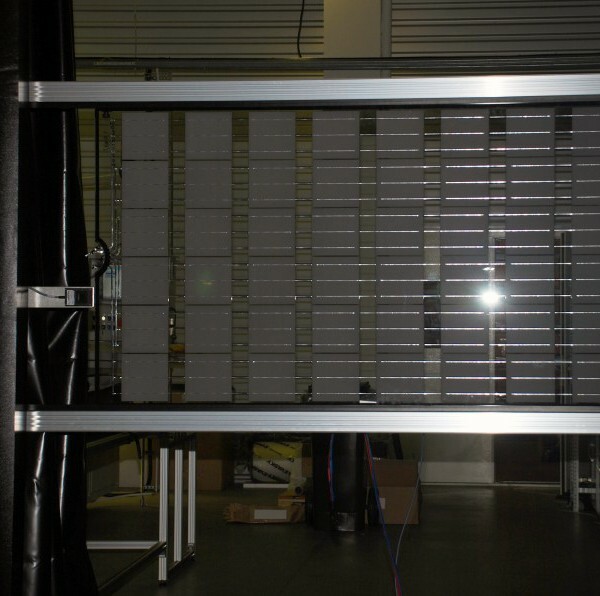 The efficiency of photovoltaic modules diminishes over time. 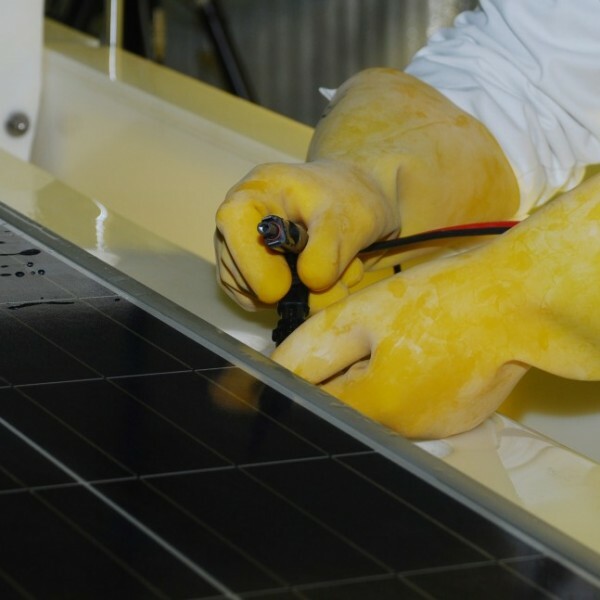 This degradation has a serious impact on the lifetime of PV modules, thereby prolonging the return of investment in the installation of PV systems. 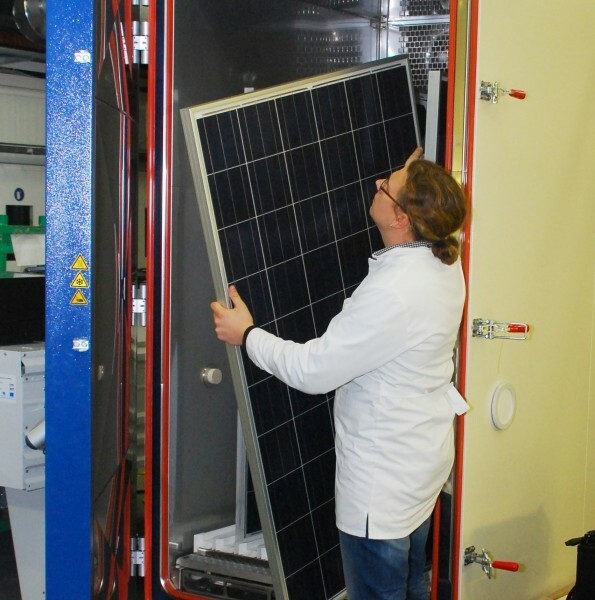 Testing modules in extremely wide range of environmental conditions for a longer period of time, is essential to determine the real annual energy output of the modules and lifetime of PV system. 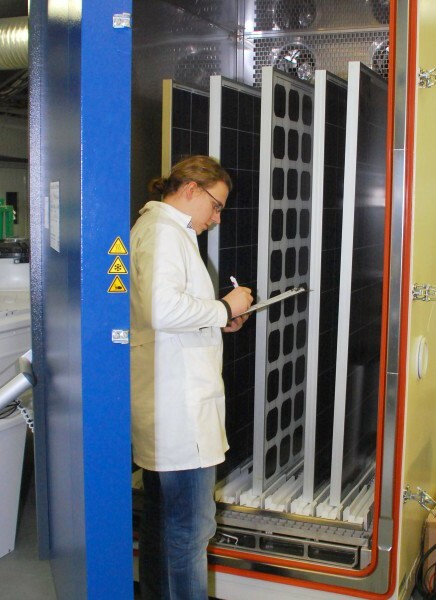 In order to evaluate the rate at which module‘s efficiency will decrease and estimate degradation of different components of PV panels, the accelerated ageing tests have been implemented. 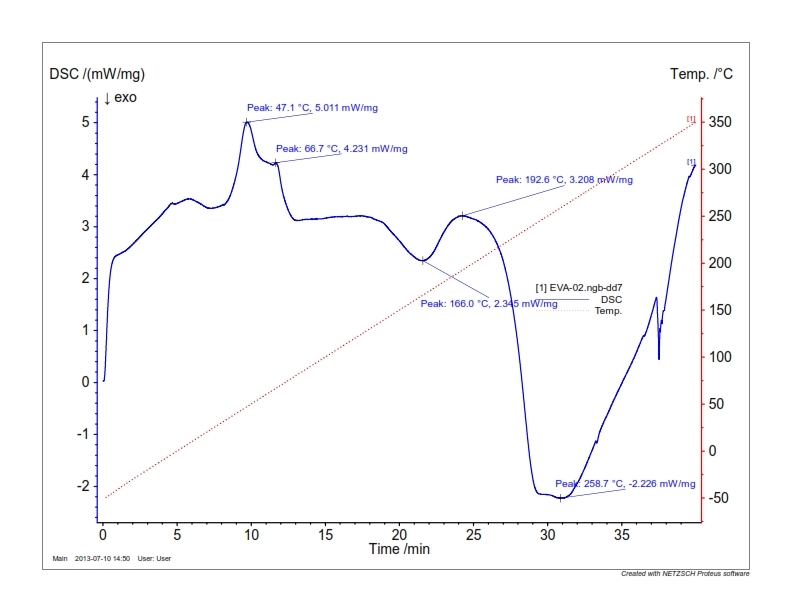 Thermal analysis test is a laboratory experiment that is carried out with differential scanning calorimetry to check the optimal melting temperature (melting point) of EVA or PVB films. 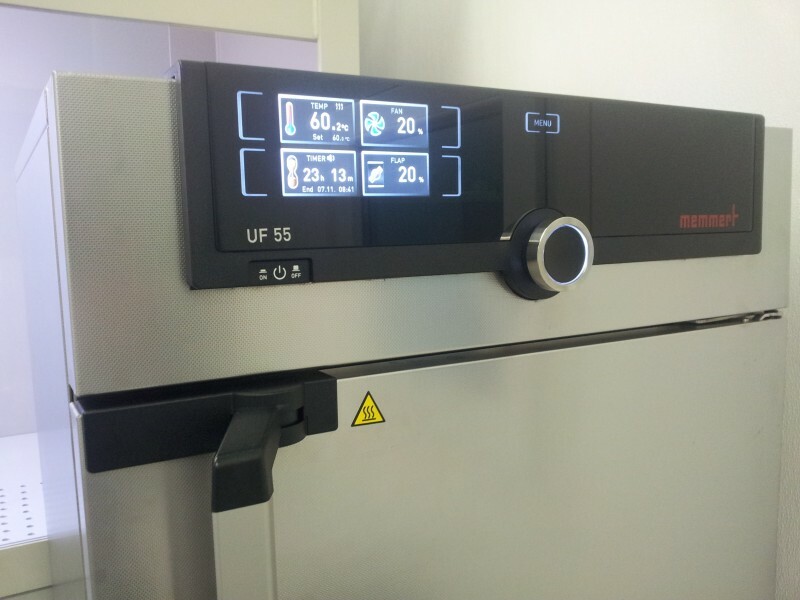 Gel Content test should be carried out periodically, changing a manufacturer of EVA film and the components of PV modules, the lamination recipe, after laminator repair and if the equipment has not been used for a long time. 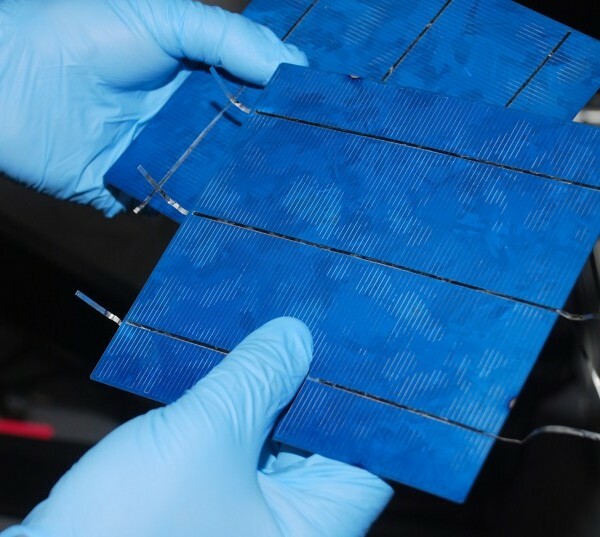 Adhesion test of solar cells ribbons is a widely used procedure to assess the strength of the soldered joints and soldering process quality. 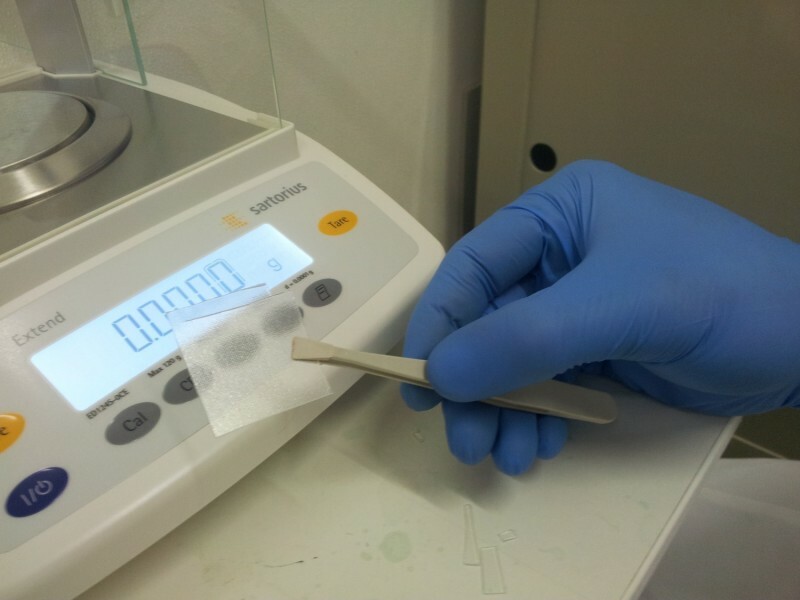 During the test the force, necessary to peel the ribbon from the solar cell, is measured. 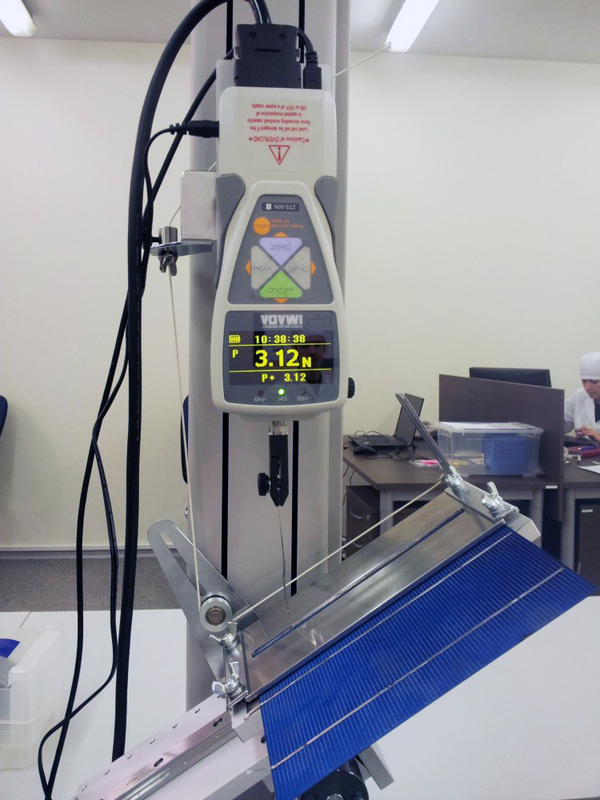 Adhesion test of EVA and PVB films is performed in order to assess the quality of lamination process. PV modules testing and certification are the main guarantee of module quality. The laboratory is testing modules and seeking accreditation due to verify and issue IEC 61215, IEC 61646 and IEC 61730 certificates of conformity. 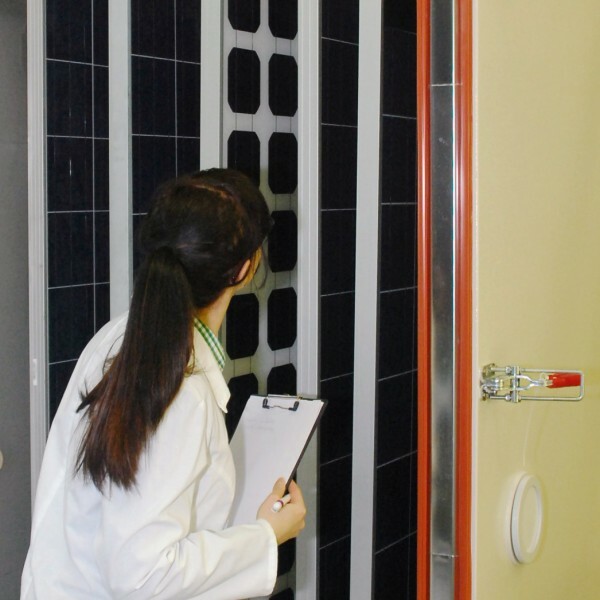 We offer specific test packages and individual testing in order to avoid the risk of failures in photovoltaic modules.